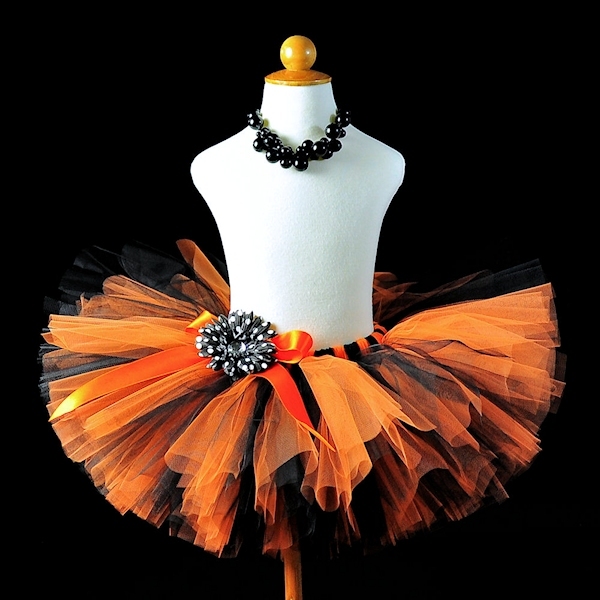 Orange and black Halloween tutu for babies, toddlers, girls, teens and women. Orange Jack-O-Lanterns, black cats, bats, scary little witches and the fall harvest represent Halloween and the Autumn season. 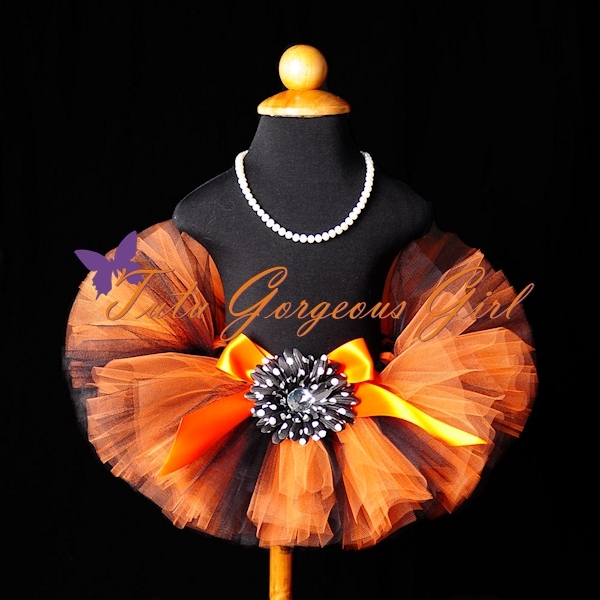 This orange and black tutu is perfect for celebrating this festive time of the year. This tutu can be spooky enough as a Halloween costume or fabulous enough for your Fall portraits. Tutu includes a satin bow at the waist and optional flower clip and stretch headband.